Steam. It's one of the most important resources on the planet for human civilization. Just think of all the things its done for us (and continues to do, considering anything that runs on nuclear power technically runs on steam). It's even created some great miniatures games! Well, it's been the basis for miniatures games, anyway. 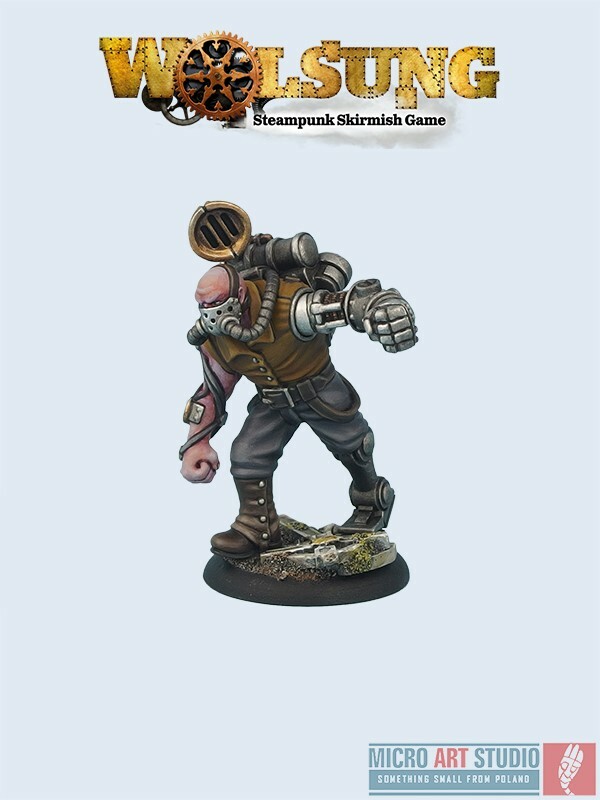 Wolsung Steampunk Skirmish Game from Micro Art Studios is one of those, and they've got some new releases available. There's quite a lot of them, actually. The Inventor's get the Female Lab Assistant and Jack in the Box. Ash and Oak gets a new Cook. The Scylla is coming away with an Ogre Gangster, Ogre Gravedigger, and Roberto Vandetta 2. The Triad of Louts Dragon has the new Hisao Siryo as well as a pair of smugglers. Finally, the Ven Rier Agents get Sir Jonathan Wormwood & Ursula, along with a Zombie Ogre.